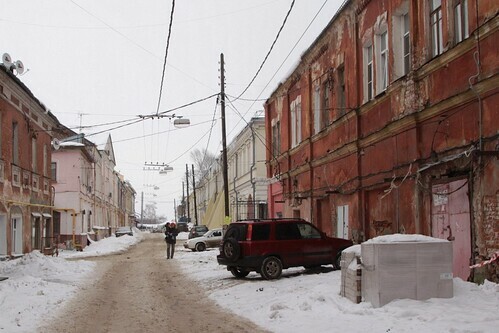 Before I went to Russia I had never even heard of the city of Nizhny Novgorod, but I’m glad I paid a visit. 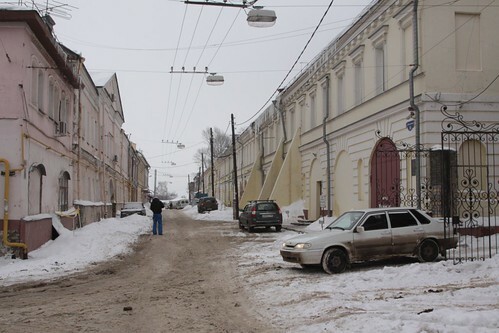 Located a few hours west of the Russian capital at the confluence of the Volga and Oka Rivers, it is the fifth largest city in the country, but still a massive contrast to the big cities of Moscow and Saint Petersburg. 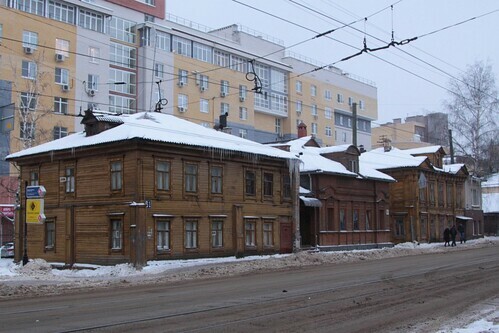 In the outskirts of the old town area the streets are still full of traditional timber houses. Their window frames are made of ornate timber work. 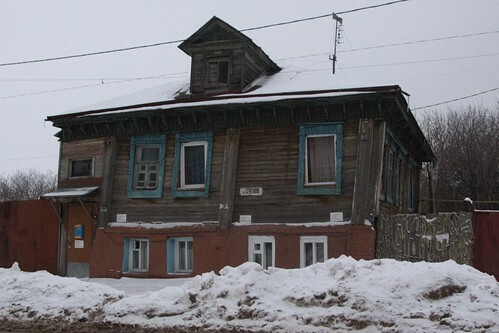 Some of the timber houses have seen better days. 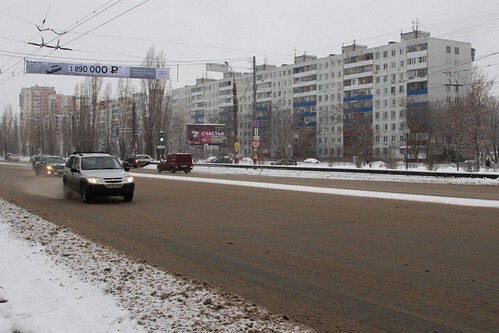 And modern apartment blocks have started to spread through the city. 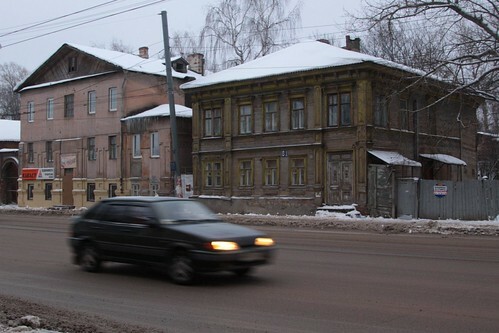 In other parts of the Nizhny Novgorod, the rendered brick buildings look more like those seen in Saint Petersburg. However the streets are much quieter. 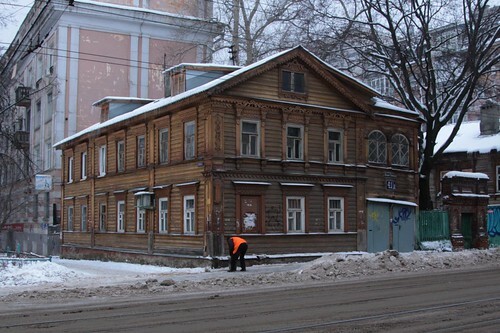 And some of the buildings are in disrepair. 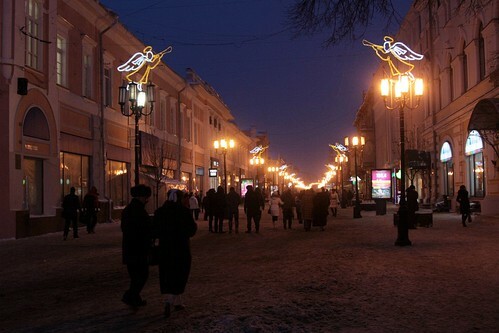 The main street of Bolshaya Pokrovskaya ulitsa is a pedestrian mall. 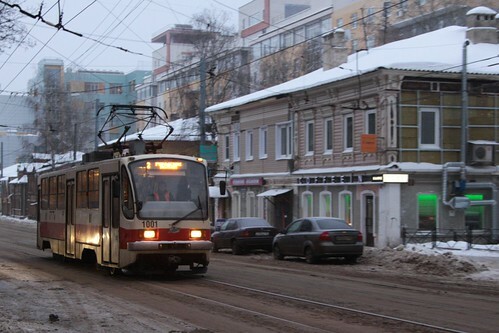 Trams head down the city streets towards the outer districts. 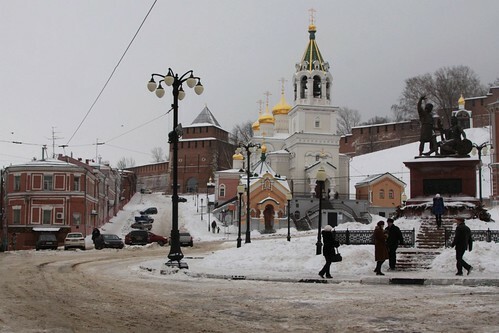 The Kremlin is a landmark of Nizhny Novgorod. 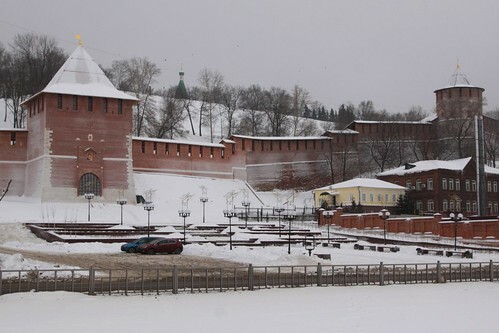 Built between 1508 and 1515, the fortress has 13 towers guarding the 2 km of stone walls. 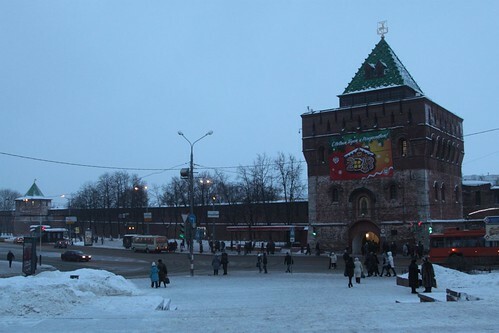 Churches are also a feature of Nizhny Novgorod, such as this one facing National Unity Square, at the foot of the city’s Kremlin. 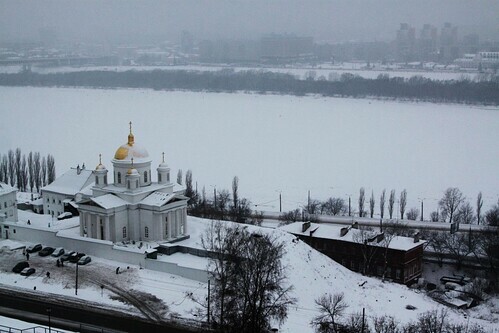 And this one on the banks of the Oka River. 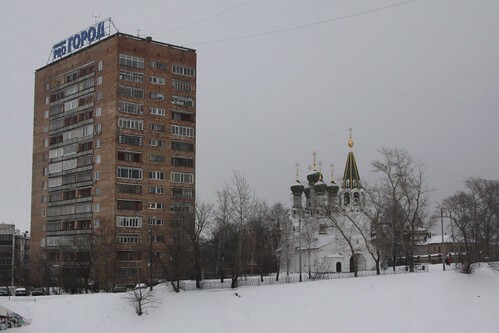 However not all of the city’s churches have such an idyllic setting – this one is overshadowed by a Soviet-era apartment block. Streets full of Brutalist concrete apartment blocks are found in the outer districts. 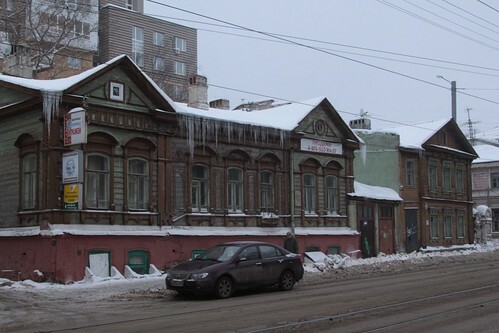 As well as the redeveloped areas of the old town. At least some look nicer than others. 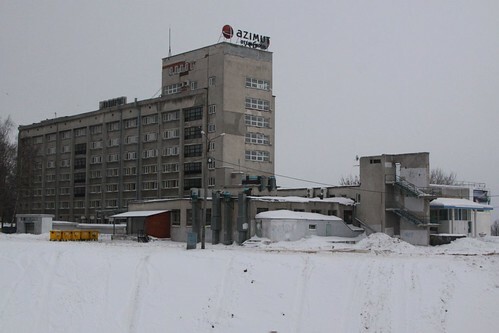 As for our hotel, from the outside it looked like a decrepit concrete bombsite, but inside it has been modernised and was perfectly fine. 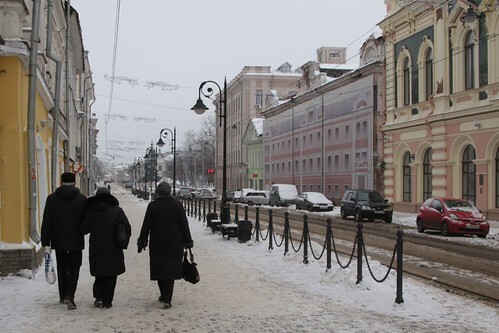 When planning my trip to Russia my entry point was Ukraine, with Moscow and Saint Petersburg down as “must see” destinations, plus a list of other cities of interest – Krasnodar, Astrakhan, Volgograd, Samara, Kazan, Novgorod and Yaroslavl. 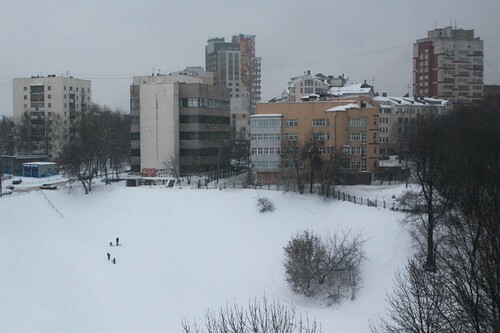 However with only two weeks to fit it all into, I settled on seeing the Black Sea at Sochi and the Volga River at Nizhny Novgorod, plus a lot of train travel in between. 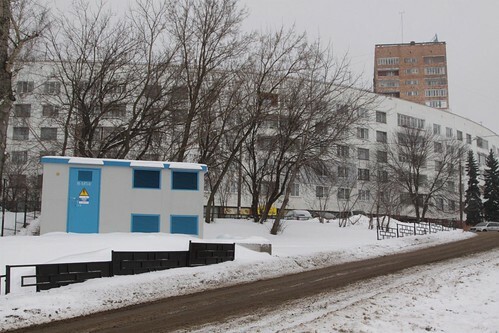 This entry was posted in Everyday life and tagged architecture, Nizhny Novgorod, Russia. Bookmark the permalink.